If you have traveling along with me on my web journey over the past 8 months or so, you know that my dad was a major influence in my musical tastes. When I was home recently, I was browsing through his record collection with new eyes. As I learn more about music, I recognize more titles and know there are some gems there. His tastes were eclectic and he enjoyed lots of good music. In the above picture, I think I was about 4 years old. I am not sure the occasion other than spending time with my dad. He was my hero. He was an excellent carpenter, a great cook, bowler, and he could even play the piano. He had an old melody that he would play without any music. He loved us and was always there for us but he could also put the fear of God in us. I can remember getting a whipping during the day from my mom and being scared of getting another one when my dad got home that evening. He shared great stories and always told us how poor his family was when he was growing up. He told us about all the music clubs and nightlife on the south side of Chicago. He built and painted my early bikes. He gave me my first car, a 1970 Ford Country Sedan station wagon with the best heat in the world. Power steering was put in it before I started driving it. Before then, there was a knob on the steering wheel to help steer that big baby around the corners. It was his fishing and work wagon and I was happy to have it even though he thought I would tear up our garage backing it in. He taught me how to change the oil, the wires, and even gap the spark plugs. He encouraged my brother and I to take risks and experience new things. His memories and wisdom are always with me. This entry was posted on Sunday, June 15th, 2003 at 8:27 am. It is filed under Family. You can follow any responses to this entry through the RSS 2.0 feed. Just like to say that the story about you and your dad really touched me today and I am happy to have read something so moving and meaningful about a black man and his child. I spent time with my dad today and I am thankful for his wisdom and love and knowledge about life and the world, thank you, God Bless you, peace. I’m all choked up. 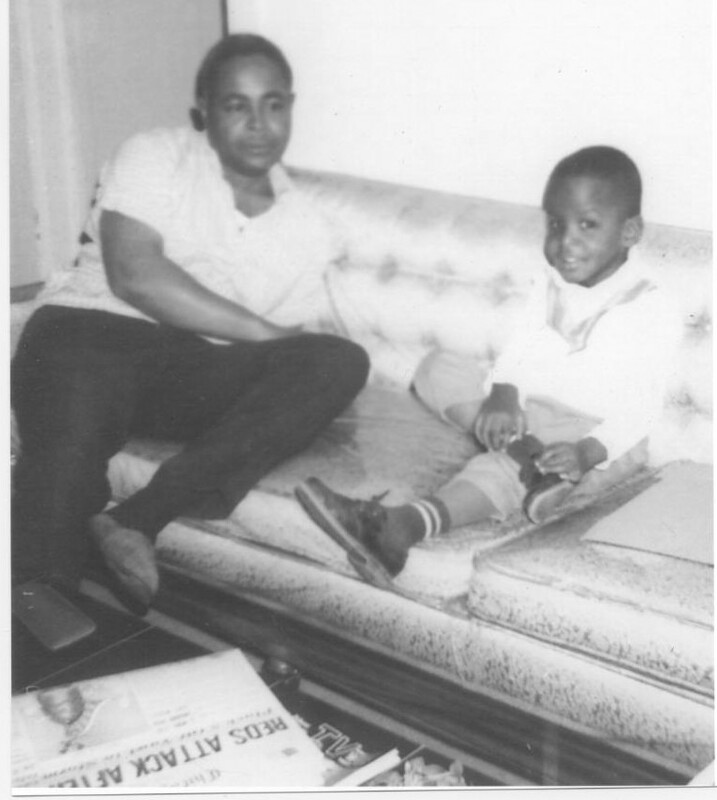 Even I spent the majority of my life just being my mom and me, my dad had a huge influence on my musical tastes. I can remember him standing in the living room with his Baritone Sax playing along with Tower of Power. I laugh now at this happy memory. Thank you for sharing with us and helping me to remember one of the happy memories of my dad. What a beautiful tribute! He raised a fine son.